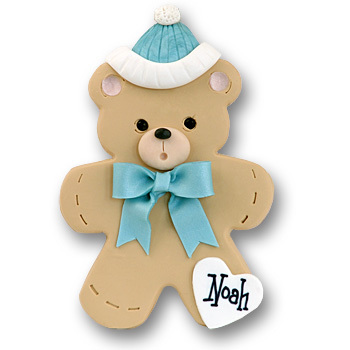 This little bear is just perfect for a new baby girl. It may be easily personalized with the name and year and makes a perfect gift as well. It is handmade from polymer clay and designed by Debi Allison.